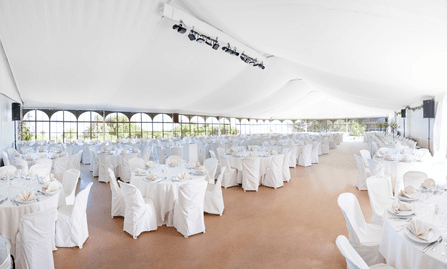 All of our marquees are made of the highest quality, robust, clear span materials. They are white canvas pvc, which is fire retardant. All of our marquees are structured so that you can use the whole space inside without having to worry about poles, ropes, or low eaves. They start at 3m and increase in 3m sections up to your required length. For a rough guide to determine the size your event please click on the button below. This is a rough size guide only. It does not take into consideration areas allocated for entertainment, buffet, catering, or bar space. Please contact us for an exact quote here. We have a range of panels that can be arranged anywhere on the marquee sides. These panels can be opened or closed and can consist of the new and modern total vision walling, or a glazed door. If you have more than one marquee, then all marquees are joined together with a pvc “gutter” to help protect your party from our great British weather. We know that the weather can be unpredictable. All of our marquees are pinned into the ground with three foot metal stakes (once the underground services have been checked and cleared). If we are unable to use stakes for any reason, the structure will then be weighted by either a 1,000 litre water container or concrete weight (which is strapped to the marquee). All of our structures can be joined to most buildings. This is a great way to make a smooth link from inside a building to the marquee outside. We can also make sure the building decor carries on to the marquee seamlessly. If you already have a venue and don’t need a marquee, we can still help! This is something Trend Marquees is very experienced in. We have the ability to think beyond the box and transform indoor areas with our expertise in linings and lighting. We can make a normal, dated room into a venue your guests will be amazed by. We have the knowledge, experience and contacts to make anything work. To get a hold of us, please click here. We have several options of flooring for you to consider. In the summer months (when heavy rain is less likely), we have the options of using new, recycled event carpet in a range of colours. These are nailed to the grass with a waterproof underlay. Our other option is to use a wooden, interlocking flooring system which provides very stable flooring for tables and guests. The first choice is to have the flooring system laid to the contours of the ground. It will be supported where necessary, but generally it will only be as even as the ground conditions. This is the most common way of laying the flooring in marquees. The second choice, using the same flooring, is to use extra materials and labour to make an uneven bumpy floor into a more level flat surface. This costs more due to the extra labour and material costs. The wooden floor then can be carpeted with new event carpet or pre-used carpet depending on your budget. 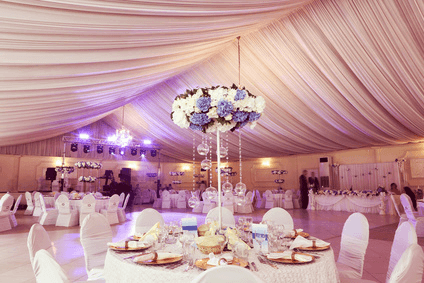 At Trend Marquees, we have a lot of experience setting up the linings of the marquees. If it’s not done correctly, the lining will get dirty, hang loose, and lose the shape. At Trend Marquees, we ensure all linings are clean and ready for your event. All of our linings are fire retardant and adhere to industry standards. Below are the four types of linings we offer. Click on the buttons to view more information about each type. This is our standard and traditional lining. It comes in an ivory colour and is cleanly fitted to the inside of the tent by our experienced staff. The linings come clean and ready for your event. Our flat linings are a more contemporary type of lining. They come in white and are fitted a little tighter with no pleats, to create clean, tight lines within the marquee. When fitted by our experienced staff and combined with the right lighting, it creates a very sophisticated and stylish effect. 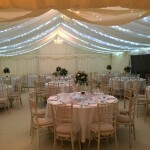 We also offer star light ceiling panels that can be arranged anywhere within the marquee. We typically find people want these in their entertainment areas. In the areas where we use these ceiling panels, we will fit the marquee with black walls and different lighting to create a special atmosphere. 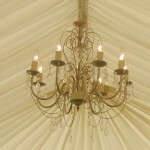 At Trend Marquees, we can offer a wide variety of lighting to really make your event unique. The lighting can really change the whole look of your event at night and it’s something we have a lot of experience in creating. All of our lighting is fitted safely and correctly. The lights all go through a very strict check system before being used. They are all PAT tested and fitted with the relevant stickers for safety. 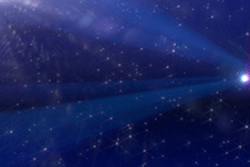 Please click on the below lighting options for more information. 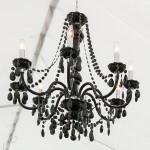 We have amazing 8-arm chandeliers that create a very sophisticated look. They can all be linked together and attached to a dimmer control, so you can change the mood of the lighting when you want to. 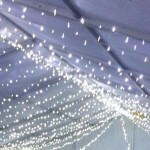 We can use LED pin spot lighting to direct the light to specific areas in the marquee. They work very well when directed onto tables and centre pieces. Like the chandeliers, they can also be linked together to help minimise wires and so they can be dimmed to give you control of the mood. Lanterns have now become a very popular and trendy new look. The lanterns are lit and dotted around the marquee to create a very fun atmosphere. The lantern shades come in a variety of different colours to go with your colour scheme. Not all of the shades have to have lights inside them, which can have a great effect when they are clustered together. We can also use fairy lights to enhance your event. They come in a white string of LED lights and can be arranged any way you want. They work particularly well when they are put under the linings. They can really give a romantic wow-factor at night. 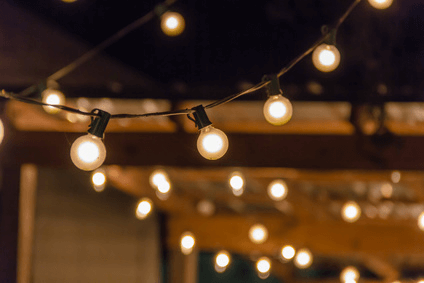 Festoon lighting is a great and diverse way of lighting up your event. They can be strung around internally when there is no lining inside the marquee. This can be a very cost effective way to enhance your event if you’re on a tight budget. They are also very good for creating walkways to the marquee, toilet and/or smoking areas. They have an amazing effect at night. We understand the significance of your event, and how important it is to shop around for the best marquee company. We have a complete no obligation policy and will not apply pressure in any way. When you book with us, we endeavour to assist you in the best way possible. We will use our expertise and contacts to ensure your event turns out the way you envision it. Our values, work ethic, and commitment are what set us apart.